During this summer's annual Wine Bloggers Conference, I took a pre-game trip to Youngberg Hill Winery, where Chef Christopher Czarnecki served a meal of seasonal dishes from the restaurant. The pairings weren't particularly on point, but the food was killer. A delicious Pot de Chocolat or two? Lots of tour companies and guides offer mushroom hunting excursions in Oregon. Wild Food Adventures offers regular foraging excursions, and Evergreen Escapeshttp://evergreenescapes.com/—a veteran tour company—has offered similar foraging tours in Oregon in the past. It's been a busy August, and I hope everyone's been having an excellent summer! 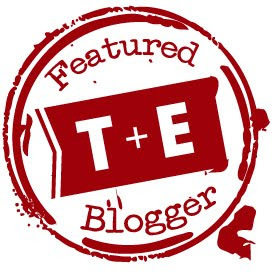 Though I haven't posted many culinary-travel blog posts on By The Tun, I have been publishing regularly elsewhere. 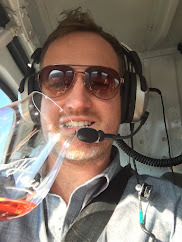 Here's some ravenous reading material: several recently published articles that range from a killer road trip with the Eagle Stars along the southern coast of Africa, to detailed wine tasting info about drinking on Sicily's famous Mt. Etna volcano. You won't find much of an online presence for this Cape Town restaurant. Bebe Rose serves traditional African food, using many of the culinary traditions and ingredients found in Cameroon and Ethiopia. 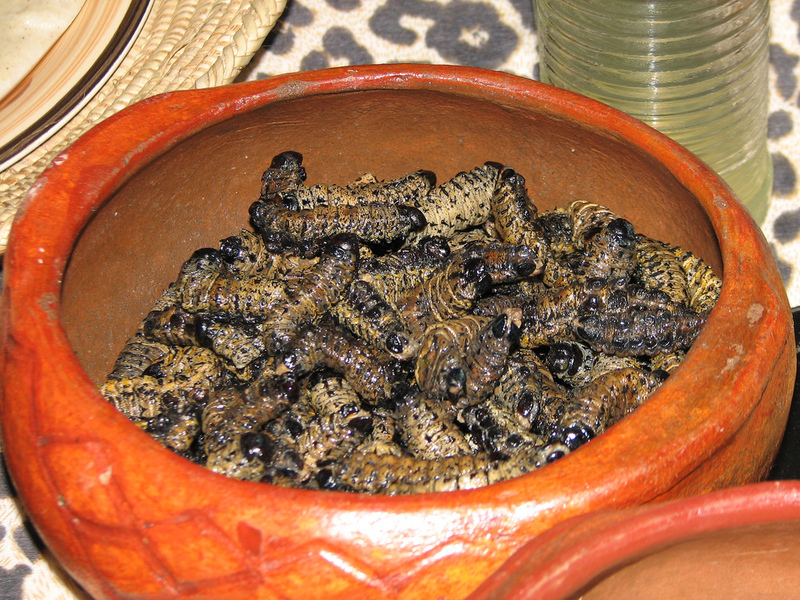 The restaurant provides the unique opportunity to sample dishes you won't find anywhere else but Africa. I can't think of a better way to describe it than as soul food, and the flavors, even though they were totally foreign to me, somehow tasted comforting—almost like a home-cooked meal. I wouldn't have found it if it weren't for an astute recommendation by Hannah Deall of the Cape Town Tourism Board. Located inside of the African Women's Trading Market on 112 Long Street, Bebe Rose doesn't put its sign out on the street. In fact, it doesn't even have a sign with its name on it inside the market. After wandering among the stalls selling African masks, artisan jewelry, and traditional clothing, I had to ask a man where to find it. He responded, "You mean the African restaurant?" Hmmm, not a bad start. To find Bebe Rose, walk down to the market's subterranean floor and look for a taciturn sign reading "Ethiopian Restaurant." I don't even think there's an arrow, but you can see the dining room down a short hall. It's spartan: a few brilliant paintings, with bright yellows, oranges, and reds; signs written in an alphabet I didn't recognize; and about five tables, which were clearly acquired haphazardly. I took a seat at a computer desk. The three other customers looked to be on their lunch breaks, and everyone was eating with their hands. In the middle of the room, a large pitcher stood for washing. Soon, my friend and I were greeted by Bebe Rose, a warm woman with a deep appreciation for hospitality. We didn't realize that there were menus until later, but we wanted Bebe Rose's recommendations anyway: Bring us your favorites, we said. The first plate was Cameroonian 'vetkoek' served with fried beans ($4). Full of dark spices, the beans were served in the middle of the plate surrounded by six vetkoek, or deep fried dough balls. 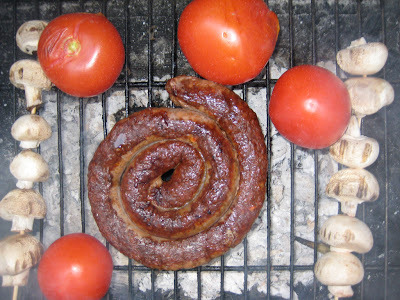 The vetkoek were like savory doughnuts, and we used them to sponge up the beans. The dish was obscenely heavy and wildly simple, and I found it intriguing but I didn't know why. When Bebe Rose returned, I asked her what types of spices she used. "They are Cameroonian spices," she said, and when I prodded her for more she said, "I don't know the names in English." She asked if everything was delicious, and when we said absolutely she said, "I'm so glad," a big smile spreading across her face, then she rushed into the kitchen. When she returned, I asked her where she had learned to cook. "Oh, I began cooking all of these dishes when I was a little girl. Every girl had to learn to cook." She went on to explain that she hadn't wanted to cook when she was young for this reason—that she had wanted to be a beautician. It wasn't easy being a woman with the desire to work, but she was determined. Eventually, her love of cooking won out, and she established Bebe Rose. The next plate was tripe in a spicy sauce served with pap ($4). Pap was eaten by the native peoples of South Africa hundreds of years ago, and it's still popular. It is a ball of cooked cornmeal, and it is used like Ethiopian injera bread to pick up food and sauces. I'm not a big fan of tripe, but this was easily the best I've had. Bebe Rose smothered the tripe in hot spices. The pap stuck to my fingers as I used it to pick up large pieces of the gooey meat. The last dish was a succulent fried chicken ($6). Nothing fancy except for the juiciness of the meat and the crispness of the skin. Delicious! It had been a pleasure talking with Bebe Rose and hearing her story. She seemed overjoyed that we loved her food, and I really can't recommend the restaurant enough. 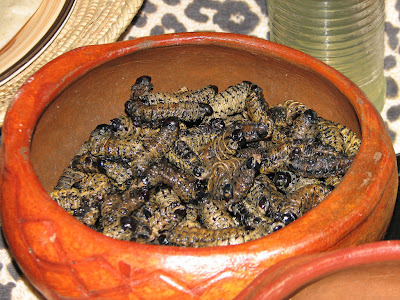 It's full of African dishes, including Doro Wot, an Ethiopian stew of meat and berbere spice; Kondre, a plate of beef with raw plantain in a freshly ground peanut sauce; Achu, a traditional Cameroonian meal made of Taro and rock of salt mixed with spicy palm nut juice and beef; and a "vegi combo," comprised of spicy split lentils, yellow peas, potato, and carrot in a spicy sauce with greens, chickpeas, cabbage, and shiro and served with injera bread. For the true ravenous traveler, look no farther than Bebe Rose. Find blooming wild fennel. Bring a knife and a brown paper bag. Put in a paper bag, and let dry in a dry place (dampness causes mold). Alternatively, spread them out on a baking sheet. After two weeks, the fennel flowers will have fallen off. Pour through a wire strainer to remove debris. Take the remaining flowers and stems and thresh two or three times. And now you have fennel flower for cooking. Fennel flower is good for digestion, and it is often paired with pork because pork is a less-tender meat. Here's a simple recipe for Fennel-Flower-Crusted Pork Loin Steaks. 1) Liberally rub fennel flower into the pork loin on both sides (you just harvested it; use a hefty dose), followed by thyme, salt, and black pepper. 2) Heat enough oil in a frying pan for frying pork loins (about 2-3 millimeters deep). 3) Pat flour onto both sides of the pork loin. Only use as much sticks easily. 4) Add pork to oil (be careful, it's hot!). Let cook on one side until you see the edges of the pork begin to brown. Flip, and do the same for the other side. For a 3/4 thick loin, I usually let it cook for 3-4 minutes on each side; cook until cooked through. The Neighborhood Market at the Old Biscuit Mill, Cape Town's biggest farmers' market, stretches through two massive rooms as well as several areas of the Old Biscuit Mill, a beautifully refurbished space filled with creative people and their creations. Located in the Woodstock neighborhood, it's not the easiest to get to, and I recommend taking a taxi or minibus or driving (click here for directions). Taking place Saturdays, 9am-2pm, The Neighborhood Market is a pre-noon party with all of my favorite ingredients. We're talking locally roasted coffee, organic veggies and foraged mushrooms, pesto, buffalo-milk mozzarella, local oysters paired with sparkling wine, beautiful pizzas, paella, curries, and on and on. It's enough to make your head and stomach explode. Have it grilled to order. Or should I visit the Pesto Princess? Oh no: 6 types of pesto plus different 5 sauces! Soon enough, I'd ordered this massive breakfast sandwich called something like the Surfer's Breakfast Sandwich. It came on a large ciabatta and you got to choose between homemade garlic sauce, spicy sauce, and some other sauce. I asked for all three. As I bumped through the crowd trying to reconnect with my friends the sauces spilled out everywhere, and I soon realized that we'd all been lost inside of our own catalytic states for over an hour. Alone, we appeared to be moving, shifting from booth to booth, but, in actuality, we'd simply been shifting weight from one foot to the other. Alone, we'd tried to make up our minds, but the options were too great. We'd figure it out, then someone would walk past with an amazing looking hash topped with eggs Benedict. And so and so on. Next time, I hope to be myself, to remember exactly which flavors I like, find them and eat them. 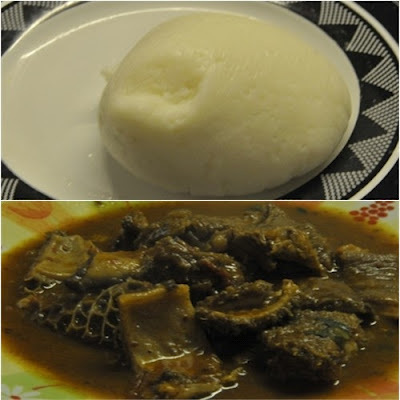 In next week's post, I'll take a step back from the madness and visit the hardly known, exceptionally authentic African restaurant, Bebe Rose. Prepare for something exquisite. I wonder where the line between fusion and international cuisine is drawn? The Pot Luck Club definitely had an overarching Southeast Asian/Mexican thing going on (Chinese-style pork rib/churros), but Chef Luke Dale-Roberts utilized other cooking techniques (porcini dust!) as well as the local product, cheeses, and meats. BistroSixteen82 was equally hard to quantify. Located in the Constantia wine region just 25 minutes from Cape Town, the restaurant might as well have been in another country. Part of the luxurious Steenberg Hotel, it was surrounded by opulent mansions, golf courses, and vineyards (not the busy, grimy streets of Cape Town, I assure you), and the mind-blowingly beautiful beaches were just a minute away. Heaven on earth? Steenberg Winery was established on the oldest farm in Constantia Valley, which was founded by the infamous Widow Catherina Ras, "one of the most daring and controversial figures ever to settle at the Cape." Definitely read her story if you get a chance, especially the part when she marries a soldier with a love of female slaves (lions are involved!). I highly recommend visiting the winery for a tasting, and I'll get back to its wines in a later post (as well as a forthcoming article for TravelandEscape.ca). BistroSixteen82 should clue you in on when the farm was founded. It is an inviting space with luxury nuances such as vine artworks and a huge, wine-glass chandelier. One wall of the dining room opens up in the summer so that diners can sit outside. I ordered a glass of my second-favorite Steenberg wine, the 2010 Semillon, which tasted unlike any semillion I'd tried before. It had a multifaceted nose of cooked peach, gasoline (in a good way! ), and jalepeno, and it tasted of spicy jalapeno, yellow bell pepper, rosemary, and thyme. It had a medium body that was poised atop a pin of acidity, which was just enough. Starters, such as Saldanha Oysters Gratin and Hermon Beef Tongue, ran about $7-$9, and mains, such as the Sauteed Potatoe Gnocchi and the Open Steak Sandwich, ran $13-$20. Once again, Cape Town food came at a great value. We began with BistroSixteen82's signature dish, the Beef Tataki. The Chalmar beef—made from a low-stressed, vegetarian cows—was flash-seared, chilled, then doused with a mixture of ginger, chili, lime, and sesame. It had a nice acidic bite and spiciness, and the beef was beyond-belief tender. Unfortunately, the flavors ultimately covered up the beef a little too much, and the dish was overly salty—a criticism I do not hand out lightly. Despite these flaws, I would order it again in a heartbeat. Next, making a mistake in judgement, we ordered the Rainbow Trout Mousseline appetizer, and the acidity of the tataki had ruined my taste buds for the creamy, mousseline. Likely based on a fish mousseline—a delicate blend of ground trout, egg whites, cream, and seasonings—the chowder-like dish featured smoked rainbow trout, leeks, and truffle-flavoring. Unfortunately, try as I might, I really couldn't taste it clearly. Chef Brad Ball's Sticky Pork Belly is the true candy of meat. All of you bacon-lovers, it's time to get real and gourmandize pork belly. It's where bacon comes from after all! The Sticky Pork Belly came sweet and sticky, with a salted sesame palm sugar caramel, and the inside of the pork belly might as well have been marrow it was so liquified. Oh, did I mention the Tiger Prawns that came on top? No, I didn't, because they were totally superfluous. However, the hot and sour salad that came on the side furnished a tasty and necessary balance to the sweet pork. I can't wait to make Brad's Sticky Pork Belly recipe, which is posted on the blog, Totally Stoned. Finally, the second entree was the Line Caught Fish of the Day, which was Yellowtail. Deliciously fresh, the fish was expertly cooked andserved with sauteed baby potato salad with anchovy créme and olives. 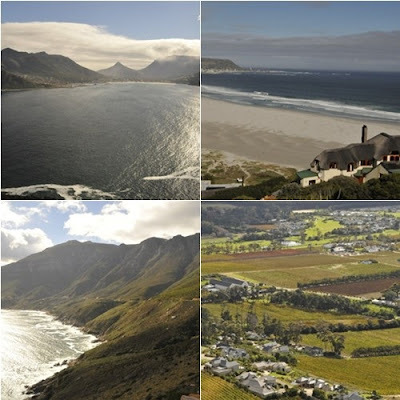 Having had too much fun at Steenberg and BistroSixteen82, I had to skip my appointment at Groot Constantia Winery, and our driver, Clenwyd, of the fantastic tour and private chauffeur company, Escape the Cape Tours, whisked me back to Cape Town. 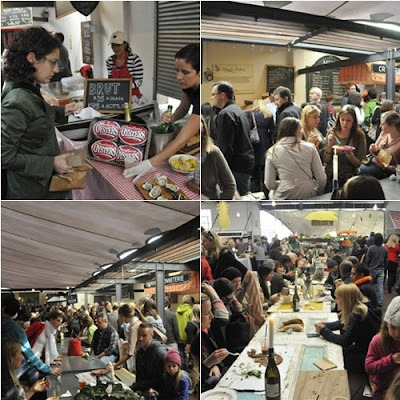 Next up, we'll culinarily assault Cape Town's Saturday Market at the Old Biscuit Mill. During the first few days in South Africa, I learned that the local chefs cooking in Cape Town's restaurants aren't short on creativity and that the traveler has an awesome number of cuisines to choose from. Further, for Americans, South Africa is inexpensive thanks to a a good dollar-to-rand exchange rate, and I was typically able to walk out of a fine-dining restaurant having spent less than $40 (this includes 2-3 courses with wine). In the case of more traditional restaurants, such as those serving Ethiopian food, I typically spent $5-$20. After visiting the Earth Fair Market, my next killer meal was at Luke Dale-Roberts's The Pot Luck Club & Gallery, which is the sister restaurant to The Test Kitchen. The Test Kitchen ranked 74th in the S.Pellegrino list for the World’s 100 Best Restaurants 2012, and I would have eaten there except that it was under renovation. The Pot Luck Club is located next door to The Test Kitchen, and it serves small plates that, for the most part, cost between $3 and $10. There were several stand out dishes, and I was most astonished by the Mushrooms on Toast, served with grated lemon, Parmesan, and porcini dust. The toast had a cake-like texture and it was heavily spiced, including ginger. The mushrooms were served on top and a thick, slightly sweet reduction saturated the toast. All in all, the dish was exceptionally heavy (too heavy for a starter—order it toward the end of the meal), but one bite was enough to shock my taste buds to attention. This was innovative cooking! The Pork Belly, served with Luke's OX dressing and red cabbage and apple slaw, was heavenly. I don't like to sound like a douche bag, but that's what it was. For me, pork belly has to be crispy on the outside and melt in your mouth on the inside, and Luke's was perfect. The meat had been brushed with a sweet glaze that likely involved honey, and the tangy slaw cut through the sweetness when needed. Now I know why Luke is described as "the king of pork in Cape Town." These two dishes are likely the heaviest on the menu. Their flavors are massive, which makes them ideal for sharing. For those looking to balance out their meal with lighter dishes, I can recommend the Claus' Coconut and Calamari Salad and the Kingkilp (a mild white fish) Clay Pot, which is served with a Thai-style black pepper sauce and Thai basil. I tried three wines with the meal, and I wasn't impressed with any of them. 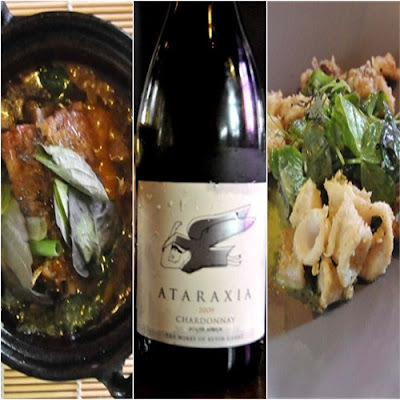 The best was the 2009 Ataraxia Chardonnay, which was a bizarre and expensive wine. It had melon and honey on the nose, but the flavors were dull on the palate. It reminded me of sherry. 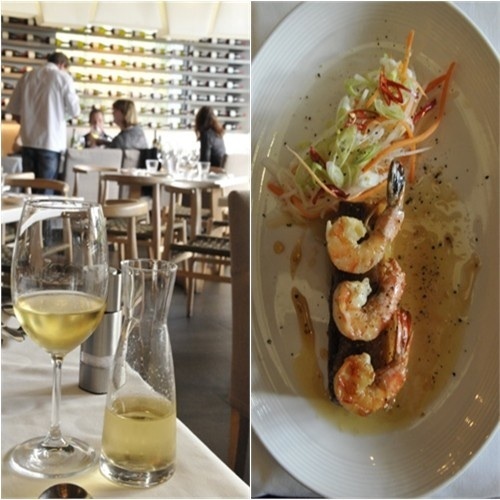 In the next post, we'll visit Bistro Sixteen82 at the Steenberg Luxury Hotel in the nearby Costantia wine region, where round-two of the pork-belly extravaganza will go down. The Columbia Gorge wine scene is taking off, and I'm happy to report on it in this month's issue of Washington Magazine. Focusing on the wineries on the Washington side of the Columbia Gorge, the article introduces the area's winemakers and winemaking styles, and there are plenty of revealing interviews. 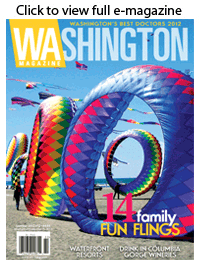 You can either pick up a copy of Washington Magazine at your local bookstore or read it online here. I'd love to hear what you think. Please write in with any questions or observations and I'll share everything I know about the innovative wineries of the Columbia Gorge!